What would your reaction be if you were asked to speak in front of an audience? Some people feel nervous or unsure how to speak in public, while others present as confident and natural in front of a crowd. What type of public speaker are you? 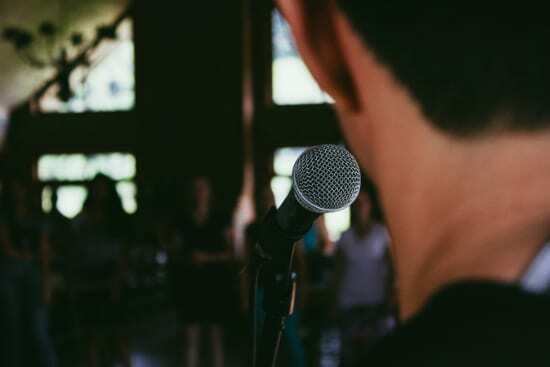 Whether thinking about public speaking gives you a rush of adrenaline or a shot of anxiety, there are always ways to refine your public speaking skills and bolster your confidence. When it comes down to it, public speaking skills are all about being able to communicate effectively with your audience. Here’s how to master public speaking and get any group of people, no matter how small or large, on your side. Ask yourself this: What’s your biggest fear when it comes to public speaking? For most people, it’s the fear of embarrassing themselves in front of a crowd in some way or another. You worry that people are judging what you look like or what you’re saying. When you get too hung up on these fears, you become incapable of delivering an incredible presentation. Instead of thinking of what could go wrong, start thinking about all the things that can go right. What would it be like if you could not fail? Step into that mindset. As Todd Herman recommends, create an “alter ego” that you feel possesses the skills you fear you lack. When you step in front of a crowd, channel that persona who is confident, knowledgeable and truly cannot fail. Think of a powerful presentation you’ve seen in the past. You might remember what the speaker talked about, but you definitely remember how they carried themselves. People with exceptional public speaking skills not only know their topic inside and out, but take pride in their physical state. Stand up straight. Make direct eye contact. Breathe regularly. When you shift your body into a confident state, your mind will follow. There’s a reason why you’re presenting in front of a crowd. Are you selling something? Are you trying to get a group of investors to back your new company? Before you get up to make your presentation, take some time to think about your ideal outcome. 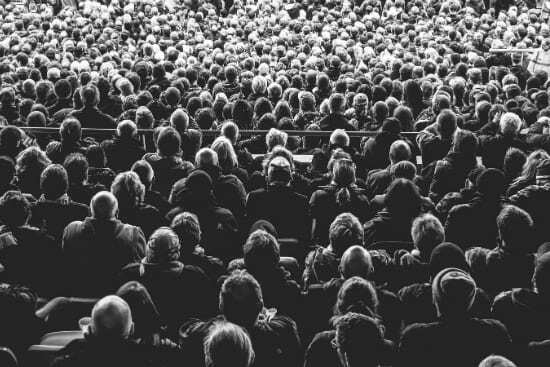 You want those in the crowd to be engaged with your message, and eventually want them to follow through with a specific action. Before you begin your presentation, visualize this outcome. What would it look like if your speech went incredibly well? Imagine not only your desired result, but also how you look presenting your speech. This visualization exercise will help affirm your purpose and give you a boost of confidence. The best public speakers in the world build rapport with their audience. 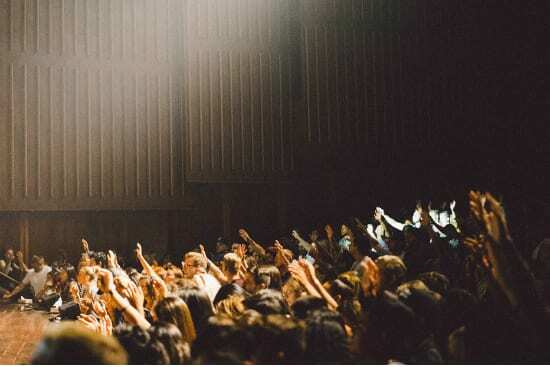 A powerful speaker can leave after speaking to a room full of strangers, and the entire audience feels like they personally know that person. You can build rapport by sharing commonalities with your audience. This includes inquiring about their lives, sharing personal anecdotes and connecting nonverbally via eye contact and mirroring techniques. Just as there are many types of leaders, there are all different types of effective public speakers. Part of the reason why Tony Robbins has been so successful is because of his distinct public speaking style. 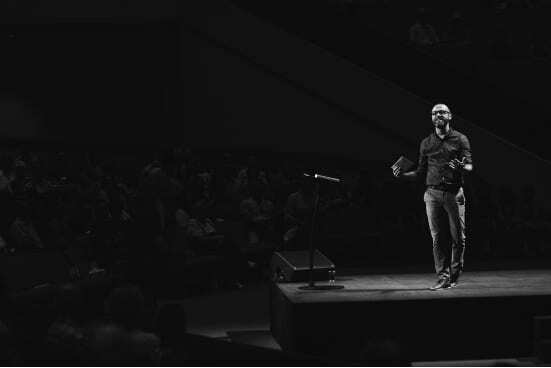 Tony consistently provides high-energy presentations, and is known for getting audiences to be simultaneously introspective while connecting with the people around them. You don’t have to mirror Tony’s style, but you do have to find an energetic and appealing way to connect with your audience. What are some of your greatest personality traits? How can you channel these characteristics into a moving, thought-provoking presentation? The next time you have to speak in public and feel yourself getting nervous, take a moment to relax. If you know your material and can present yourself in a confident manner, there’s no reason for you to worry. 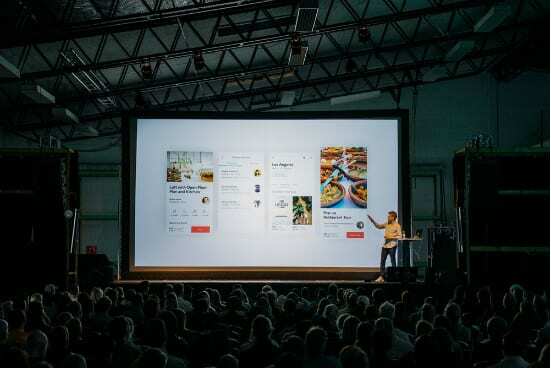 The people you’re presenting to are there because they want to here what you have to say, so don’t hesitate when it’s time to share your message. Overcome your fear of speaking to large audiences by learning how to conquer your limiting beliefs. Combat the thoughts holding you back by creating empowering ones with the help of Tony Robbins’ free digital Limiting Beliefs guide.